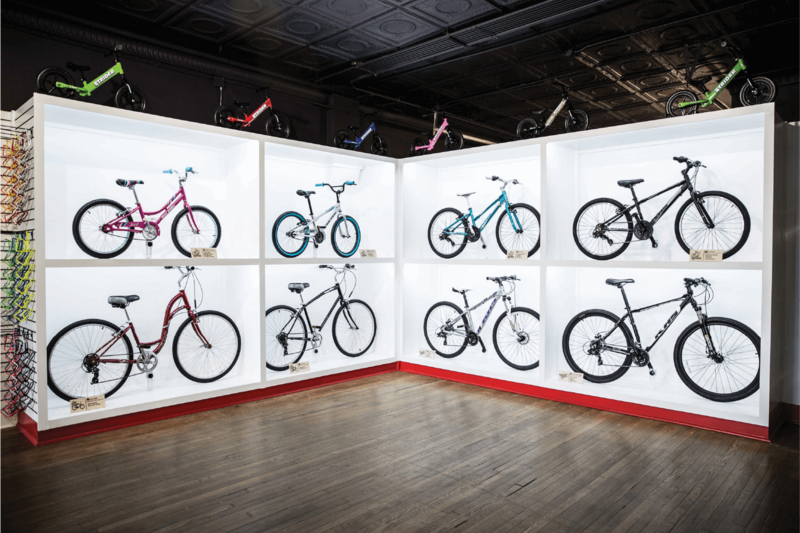 If you’re looking for a Memphis bike shop for the whole family, you’re in the right place. We carry bicycles, fun for all ages, and we offer a full service repair shop. Just tell us where you want to go and we’ll get you ready to roll. Come see us! 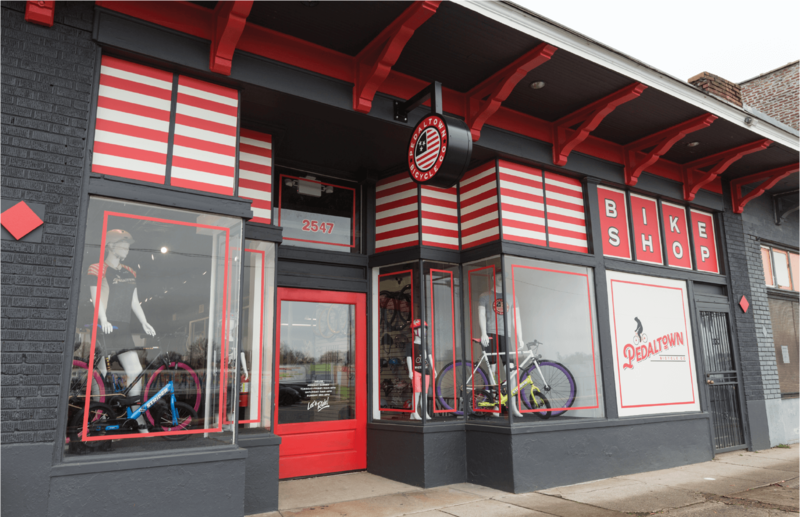 We are a full-service bike shop located on Broad Avenue in Memphis, Tennessee, just a bike ride away from the Green Line and Overton Park. We specialize in children's bikes, men’s bikes and women’s bikes for all skill levels of riders. We carry, sell and service road bikes, mountain bikes, push bikes, and cruisers, and we offer a variety of styles in fixed gear bicycles, single speed bicycles and geared bicycles. We love everything having to do with bicycles and the people who ride them. That’s why we carry all the bicycle accessories you might need. If you’re looking for bicycle helmets, bike horns, baskets, wheels and bicycle lights, we’ve got you covered. 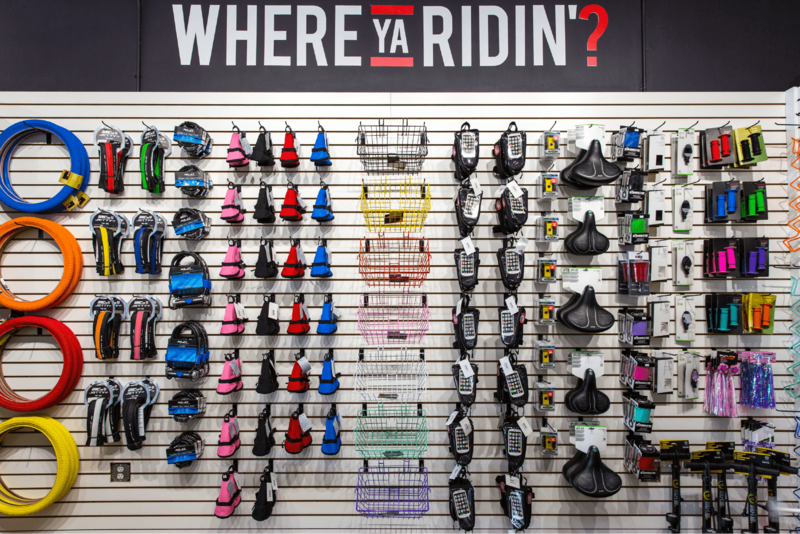 We are dedicated to providing quality accessories to make sure your bike ride is not only fun, but most importantly safe. We offer kids helmets in fun styles and colors, because we know that having a cool helmet makes it easier to get kids to wear it. We carry a range of sizes for adult helmets, because we know that having a comfortable helmet makes it easier to get you to wear it. And that’s why we carry bicycle bells and horns that look fun, bicycle saddles in a range of sizes and comfort levels, and a bunch of other cool bicycle safety accessories, because it’s easier to commit to bicycle safety when it feels comfortable and looks cool. Bicycle maintenance is a major part of being a bike owner, and we know all about bicycle repair. 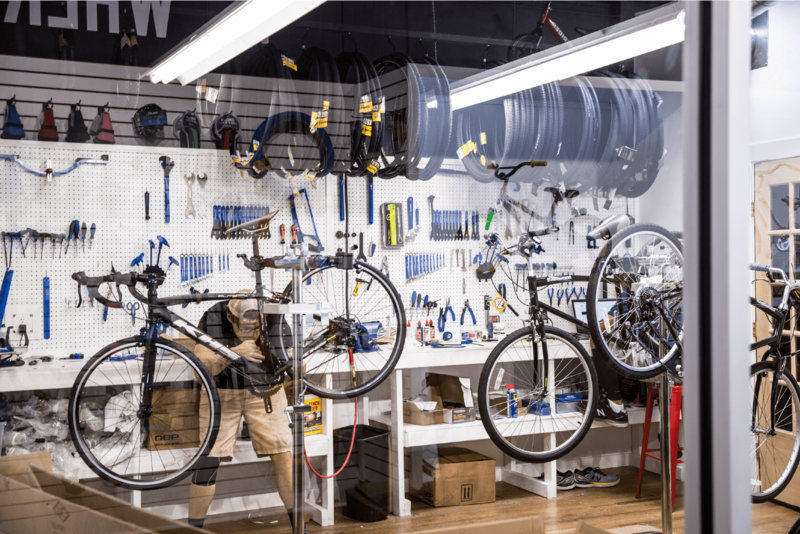 If you need a bicycle tune-up, a chain lube, derailleur adjustment, brake tuning, or if you just need help fixing a flat tire or learning how to fix a flat tire, we’re here to help. We even offer bicycle delivery and pick-up in our mobile mechanic van. When you need a quick service on your bicycle, don’t hesitate to give us a call and let us swing by your work or home and pick it up. Our bike mechanics are some of the best around Memphis, with over 15 years of combined experience in bike shops, they’ve seen it all. No job is too small or big for our mechanics, they even handle custom bicycle builds from the ground up. So when you need your next tune up, come see us or give us a call and we’ll come pick it up. When it comes to riding, your bike is definitely a key part, but the fit of your bike can be the difference between a fun ride and an uncomfortable hassle. We have a custom bicycle fitting solution to make sure you have the proper bicycle fit. Through a quick system of simple measurements we can dial in the correct adjustments, from moving the saddle height and tweaking the handlebars and stem, to making sure the head tube and stand over lengths are the correct size for what you need. 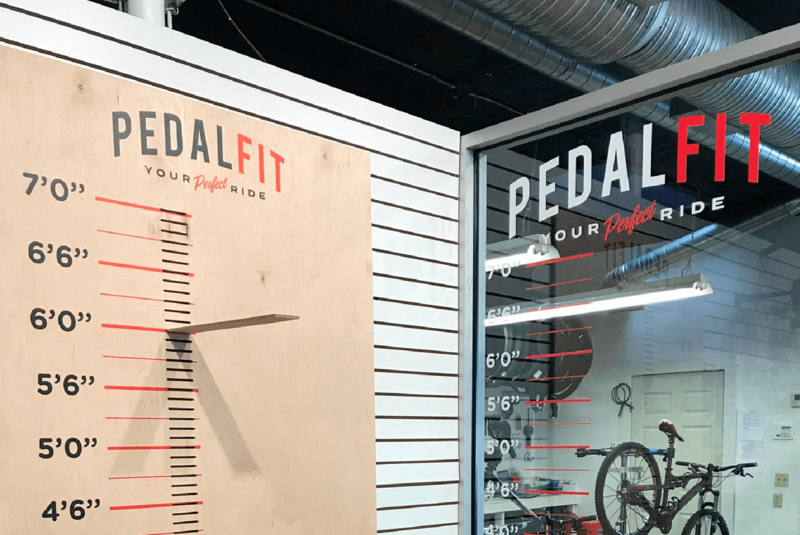 Our PedalFit System is designed to make finding your correct bicycle fit a snap. We’re more than just a bike shop, we’re bike riders too. When we’re not helping out in the shop, we’re probably out on the bike trails and bike paths. You can spot us heading over the bridge on the Big River Crossing when the weather’s nice or commuting to and from work, because we love riding our bikes. We want to help grow and encourage the bicycle community in Memphis, so we offer regular group rides from the shop. Our rides are casual and friendly, and we even offer some that are great family bike rides. If you’re looking for a group to ride with, just follow us on Facebook and Instagram where we post our ride schedule and routes. When it comes to the kids, bicycles can definitely be a fun family activity. Our selection of kids’ bikes cater to all levels of childhood sizes and rider skill levels. We offer push bikes and bikes with training wheels for kids just learning to ride. 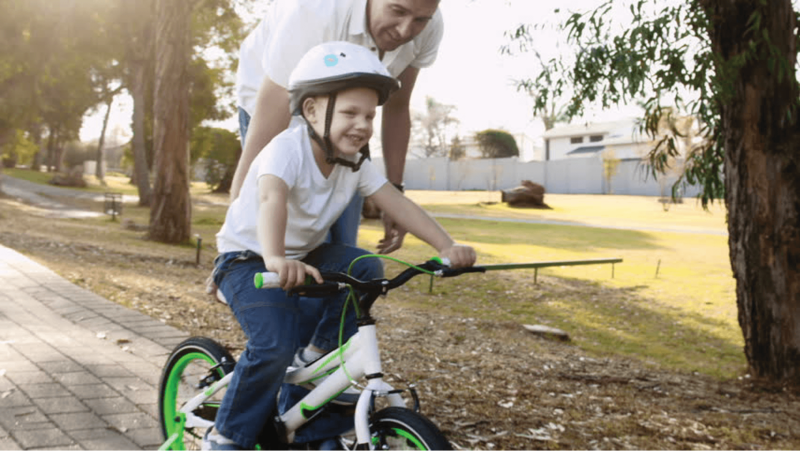 Once a child feels confident on a push bike or when they’re ready to take the training wheels off, we have different sizes of children's bicycles to take them to the next level and grow with them. The next levels are usually bicycles with the brakes we all grew up with, pushing backwards on the pedals to stop. After that we get into handlebar brakes and geared bicycles for longer distance rides. All of our kids bikes also come in girls bikes and boys bikes styles.